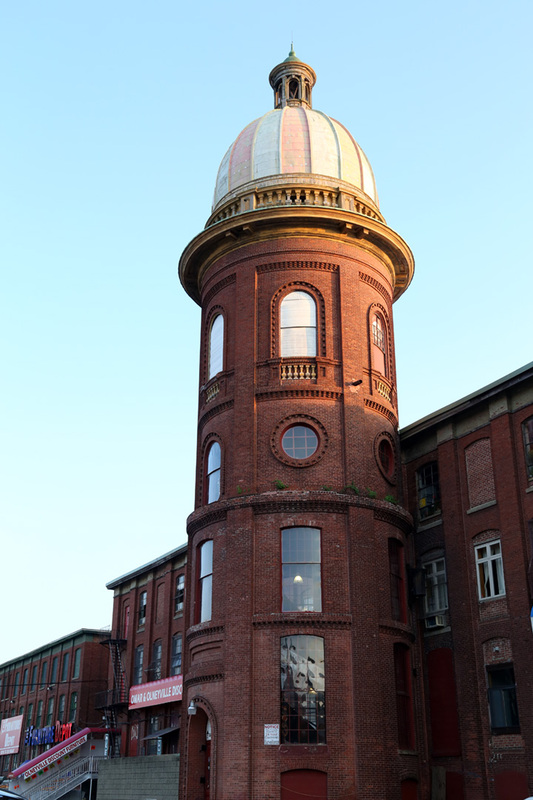 Olneyville’s Atlantic Mills is one of Providence’s most highly visible and visually distinctive mill buildings, featuring twin circular-plan stair towers topped with robust balustrades, high ribbed domes, and tall lanterns (one now missing). Built in stages from 1851 to 1899, Atlantic Mills has strong bones but is badly bruised from hurricanes and historic floods. Once a symbol of strength, as one of the nation’s highest producing textile mills in the 19th century, it employed over 2000 workers and served as a model for mills around the country. Yet, in its strength the complex was a source of oppression to the Olneyville residents who worked there. Over its 100-year history as a mill, the site saw numerous and powerful worker strikes. In just the 1890s, there were at least three protracted strikes and lockouts over worker hours, worker fines, and decreasing wages. 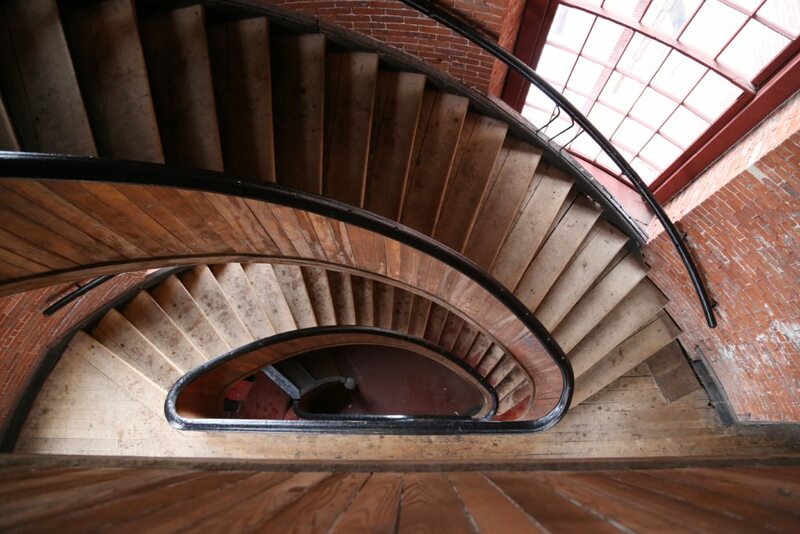 The mill closed its doors in 1953, and today it’s home to community organizations, working artists, active businesses (like the Big Top Flea) and even a small makeshift micro-museum in the owner’s office lunchroom. Rob McCall who has overseen the maintenance of Atlantic Mills for decades has been collecting small treasures from the building’s time as a working mill he’s found scattered about the property. See a popup exhibit of some of Rob’s favorite finds within one of the building’s historic towers. From 10am-2pm, architectural historian Elizabeth Warburton will be on site with Rob to discuss the history of Atlantic Mills and other mill buildings in the region. 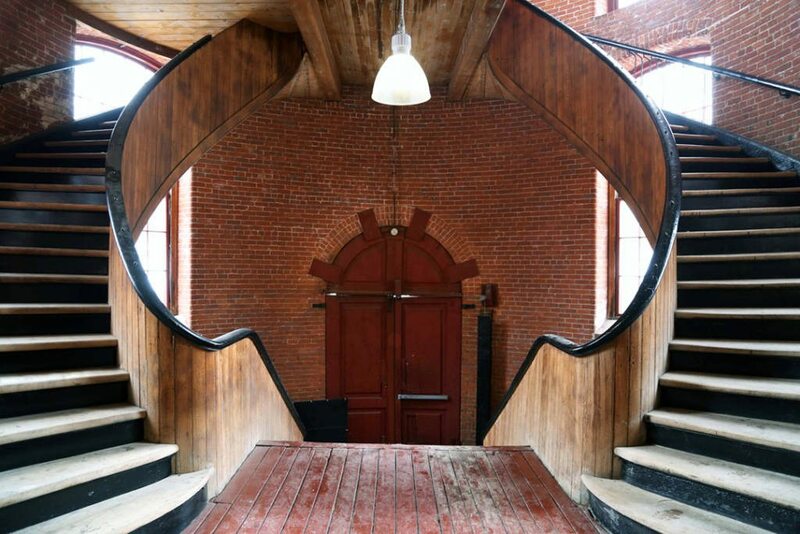 Artist and composer Erik Carlson will revisit the history of the Atlantic Mills through an experiential audio installation, exploring the building’s heyday as a textile mill and its more recent history as home to studios, galleries, music venues and workshops. The Retro Computing Society, one of many studios inside of Atlantic Mills and full of rarely seen old computers, will open especially for our festival. This and other Doors Open RI programs are made possible through the generous support of the Rhode Island Council for the Humanities.